(1) A secure facility (as defined in IC 31-9-2-114) in which a child is detained under IC 31 or used for a child awaiting adjudication or adjudicated under IC 31 as a child in need of services or a delinquent child. (2) A shelter care facility (as defined in IC 31-9-2-117) in which a child is detained under IC 31 or used for a child awaiting adjudication or adjudicated under IC 31 as a child in need of services or a delinquent child. commits trafficking with an inmate, a Class A misdemeanor. However, the offense is a Level 5 felony under subdivision (1) or (2) if the article is a controlled substance, a deadly weapon, or a cellular telephone or other wireless or cellular communications device. 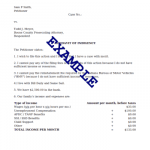 (2) a person is convicted of committing a Level 5 felony under subsection (b)(1) or (b)(2) because the article was a cellular telephone or other wireless or cellular communication device, the court shall order the person to pay a fine of at least five hundred dollars ($500) and not more than ten thousand dollars ($10,000) under IC 35-50-2-6(a) in addition to any term of imprisonment imposed on the person under IC 35-50-2-6(a). commits carrying a deadly weapon into a correctional facility, a Level 5 felony. As added by P.L.126-2012, SEC.54. Amended by P.L.5-2013, SEC.1; P.L.158-2013, SEC.512; P.L.168-2014, SEC.81.